Federal Realty Investment Trust (FRT): Are Hedge Funds Right About This Stock? 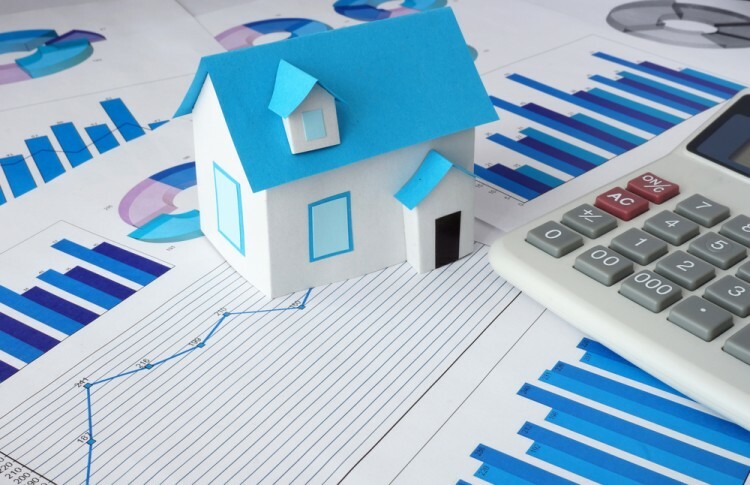 One stock that registered an increase in popularity among smart money investors is Federal Realty Investment Trust (NYSE:FRT), in which the number of bullish hedge fund bets went up by five during the third quarter. In this way, 17 funds tracked by Insider Monkey held shares of the company at the end of September. At the end of this article we will also compare FRT to other stocks including Xilinx, Inc. (NASDAQ:XLNX), D.R. Horton, Inc. (NYSE:DHI), and Extra Space Storage, Inc. (NYSE:EXR) to get a better sense of its popularity. Keeping this in mind, let’s take a look at the key action encompassing Federal Realty Investment Trust (NYSE:FRT). How are hedge funds trading Federal Realty Investment Trust (NYSE:FRT)? At Q3’s end, a total of 17 of the hedge funds tracked by Insider Monkey held long positions in this stock, a change of 42% from one quarter earlier. 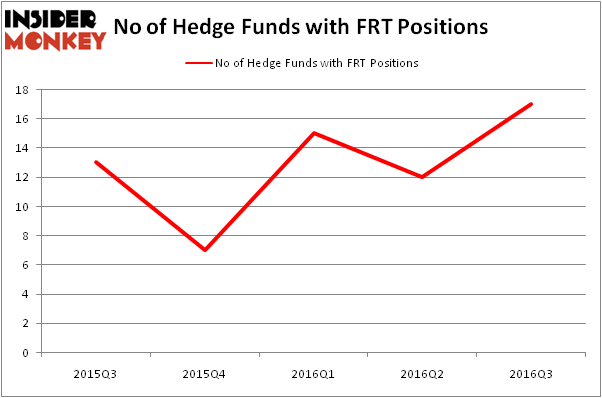 Below, you can check out the change in hedge fund sentiment towards FRT over the last five quarters. So, let’s see which hedge funds were among the top holders of the stock and which hedge funds were making big moves. According to publicly available hedge fund and institutional investor holdings data compiled by Insider Monkey, Jeffrey Furber’s AEW Capital Management has the number one position in Federal Realty Investment Trust (NYSE:FRT), worth close to $162.3 million, accounting for 3.4% of its total 13F portfolio. The second most bullish fund manager is Israel Englander’s Millennium Management, which holds a $21.1 million position; the fund has less than 0.1% of its 13F portfolio invested in the stock. Remaining hedge funds and institutional investors with similar optimism contain Phill Gross and Robert Atchinson’s Adage Capital Management and Eduardo Abush’s Waterfront Capital Partners. We should note that none of these hedge funds are among our list of the 100 best performing hedge funds which is based on the performance of their 13F long positions in non-microcap stocks. How Big Lots, Inc. (BIG) Stacks Up To Its Peers Infosys Ltd ADR (INFY): Are Hedge Funds Right About This Stock? Has Hedge Fund Ownership in Welltower Inc. (HCN) Finally Bottomed Out? Biotech Movers: Heat Biologics Inc (HTBX) And Achaogen Inc (AKAO) Should You Buy BJ’s Restaurants, Inc. (BJRI)? Is WebMD Health Corp. (WBMD) A Good Stock To Buy?